Pirate Unit Study Flags: A Fascinating Look at Pirate Flags! Did you know there is symbolism attached to the pirate flags? Do you know how they were used and why? 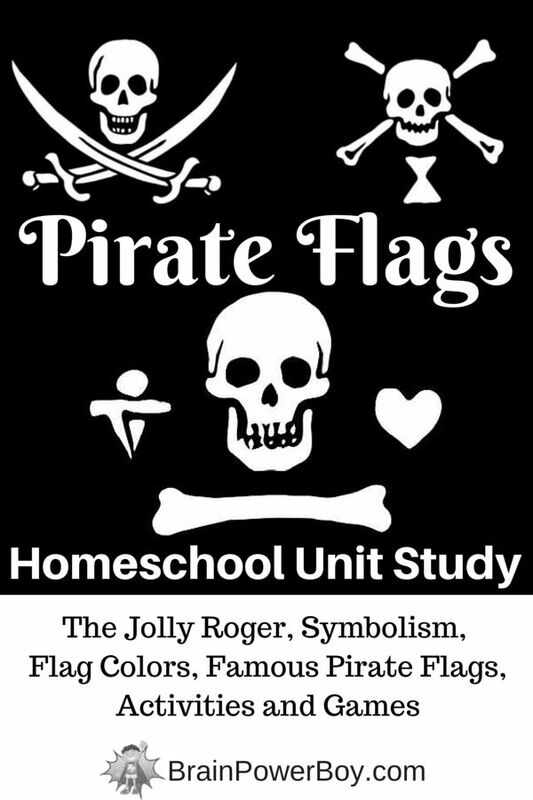 In our Pirate Unit Study we are talking about just that – Pirate Flags! The pirate flag was a very important part of a pirate’s arsenal and with this unit study you will see why. 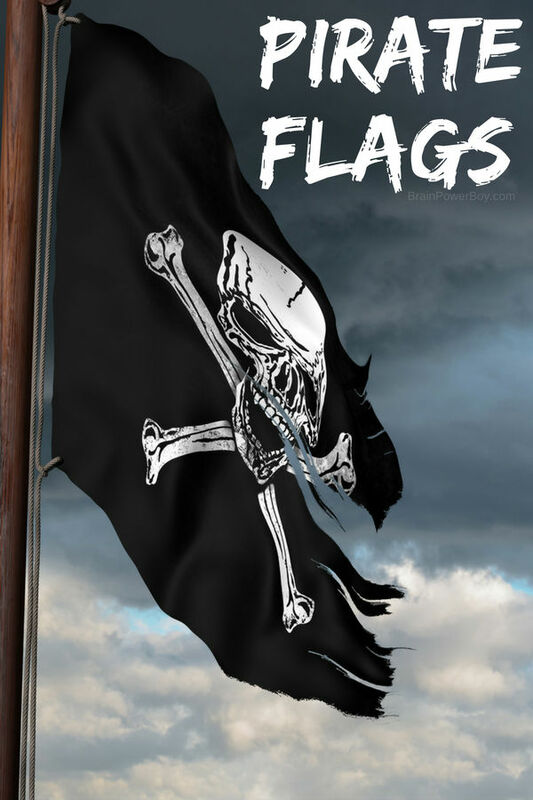 Find out why pirates used flags, the meanings behind the colors and symbols of the flags, where the name Jolly Roger might have come from (there is more than one opinion on that,) and see images depicting some of the most famous pirate flags of all time. Plus, I threw in a few fun pirate flag activities to do as well. Historical information about why pirates may have used flags and where the name Jolly Roger likely came from are included in both of these posts. Go here and here. FYI the second link has music play automatically. My speakers were turned up kind of loud and it about sent me out of the chair so I though I would mention it! Learn about famous pirates and their flags. Each section shares a bit about individual pirates and a picture of the pirate flag they flew. There several places to view pirate flag pictures. There is some overlap here but I always like to have more than one source to check things out from. Also check pirate’s realm and info on the Jolly Roger. For a good article on the symbolism of the items on pirate flags (such as a drop of blood, colors, a spear) check out this article. It is very interesting to see what the colors meant and what they think the different symbols on the flags stood for. Don’t miss the pirate flag activities below! You can make your own pirate flag online with this Pirate Flag-o-Matic (LOL) It is older, so it does not have great graphics, but it is still fun to mess around with. Click on the flag to get started. You then click on the swords in each section to add or change what appears on the flag. You need Adobe flash to get it to work. After you learn all about pirate flags, play this fun Pirate Flag trivia game to test your knowledge. Here is a pirate flags word search to try. I hope you enjoy learning all about pirate flags. Pirate Ships and our big pirate unit. Thank you so much Deborah! I appreciate your comment.